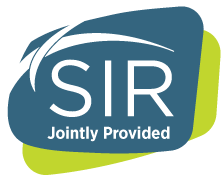 This activity has been planned and implemented in accordance with the Essentials and Standards of the Accreditation Council for Continuing Medical Education (ACCME) through joint providership of the Society of Interventional Radiology (SIR) and the Western Angiographic & Interventional Society (WAIS). SIR is accredited by the ACCME to provide continuing medical education for physicians. The program accreditation will be posted upon final review and approval. Note: To claim credits and receive CME certificates, attendees must complete the post conference evaluation within 2 weeks of the conference.